Mini, Standard, Large and Bumper. All of which can be ordered with or without potatoes (hence the colour code). Scroll down for details. 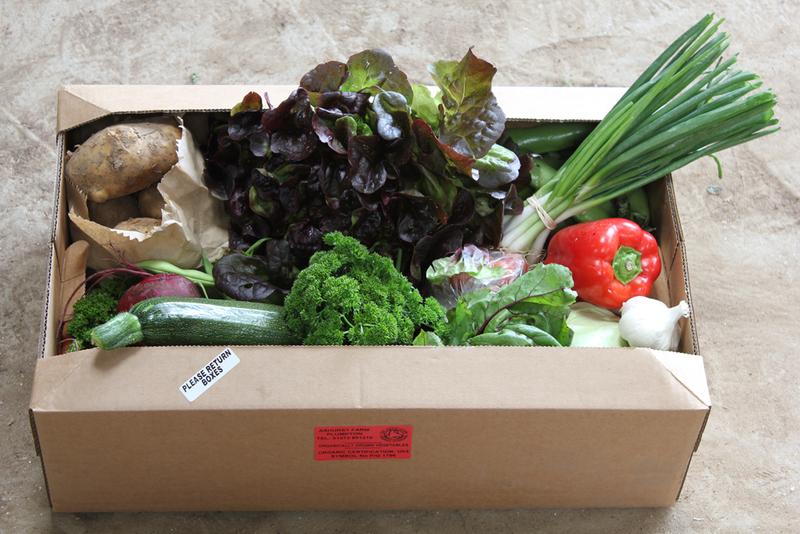 You can also customise your box to a degree - just let us know when you order which veg you never want to see in your box and which veg you especially like. Substitutes will be subject to seasonal variations and weekly availability so straight swaps aren't always possible. We do always try to encourage going with the flow and enjoying the surprise of the seasonal harvest. 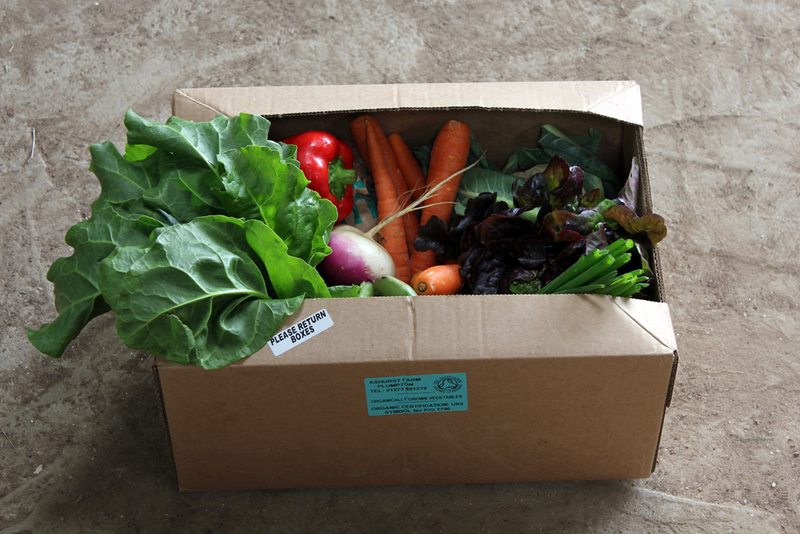 The joy of a veg box is freedom from the 'burden of choice'. Many of our scheme members have been converted to vegetables they thought they would never like so we recommend banishing with caution if you fancy broadening your culinary horizons! Eating seasonally might seem like limited "choice." But our members insist that seasonal limitations inspire inventiveness and that cooking with the ripest, tastiest veg is easier. Looking forward to the first of each new vegetable is an age-old pleasure that's hard to beat. What size box your household needs is a bit like 'how long is a piece of string'. The best idea is to try a size that you think might suit then adjust the following week if you need more or less. You can alter your order every week just by logging into your account and changing your order. Order deadlines are two days before delivery. Alternatively phone the farm and we'll adjust it for you. 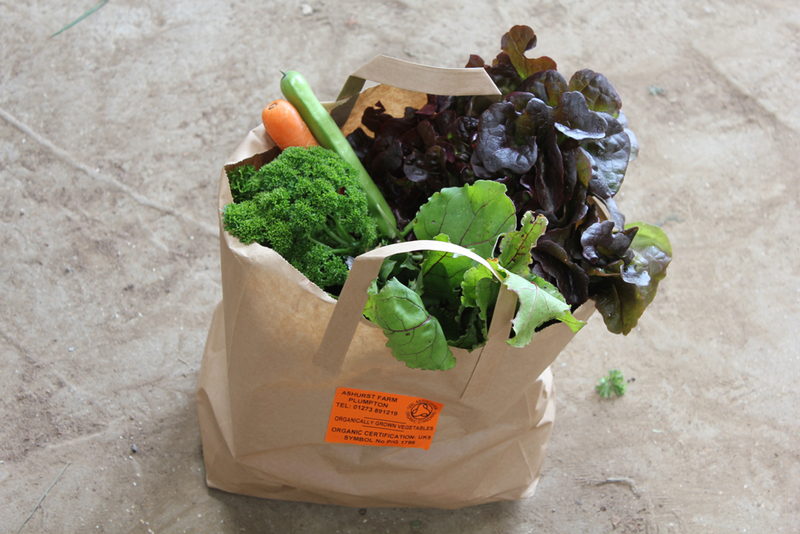 Extras: We also deliver free-range organic eggs, fruit juices, bread, extra veg, seasonal fruit, and more. If you need more information before you order, please contact us.